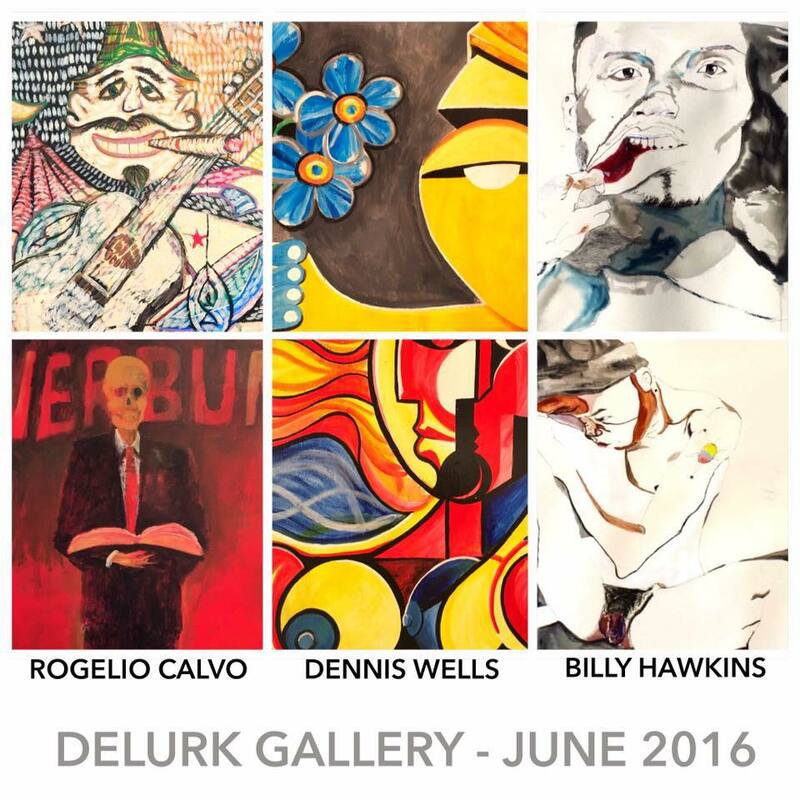 Join us at Delurk during June to welcome our newest member, Dennis Wells! Check out his bold colorful paintings as well as some works from his "In Their Own Words" series. We're also featuring "Linear Pursuit for Desire", work by Billy Hawkins, a recent graduate from UNCG (Painting BFA) who practices traditional art making such as drawing & painting mixing it with performance and video installation. He has attended the NY Studio school Drawing Marathon & is a past recipient of the UNCG Artistic Merit Award. AND... the work of Statesville artist, Rogelio Calvo, as well as work by Delurk collective members!